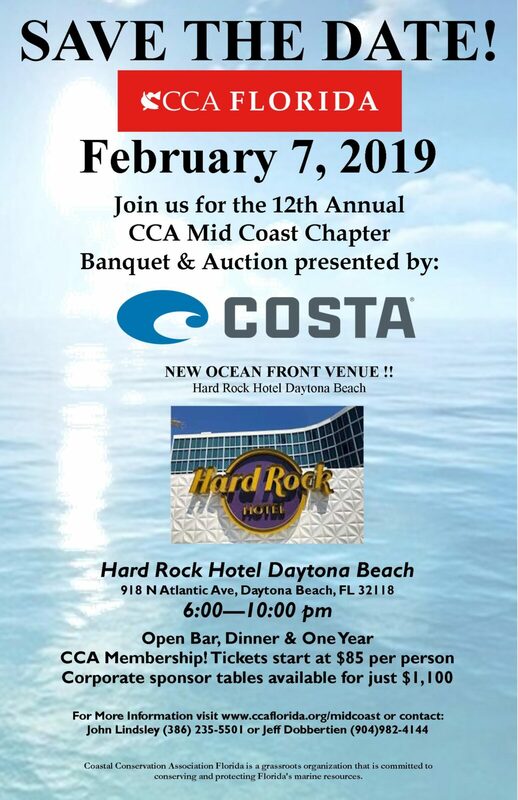 The CCA Mid Coast Chapter’s 12th annual banquet is coming! Tickets are selling fast so reserve your seats today! The event is on Thursday, February 7th and we would love for you to join us! We will be hosting this years event at the NEW beautiful Hard Rock Hotel Daytona Beach! The evening will kick off at 6PM with an open bar. We will have an amazing dinner, an expansive silent auction, exciting raffle prizes and a spectacular live auction with exclusive trips all over the state, country, and world! This event is expected to sell out so reserve your spot now. Also, be sure and tell a friend- they might feel left out if you don’t!